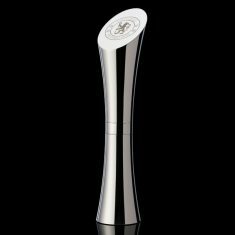 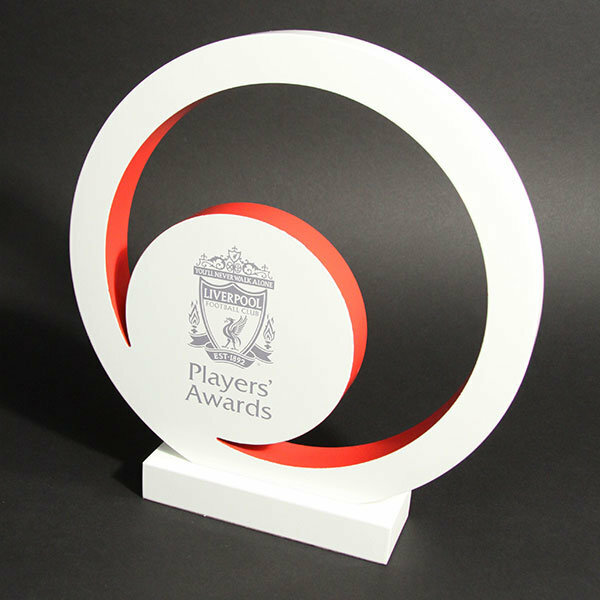 Stunning bespoke sporting trophy manufactured using profiled aluminium with a painted finish on the front and contrasting colour on the inner edges. 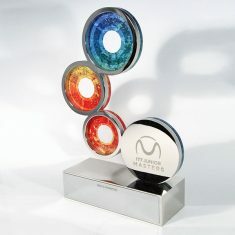 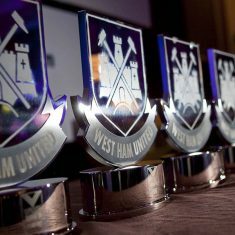 Part of a family of awards designed to celebrate different levels of achievement. 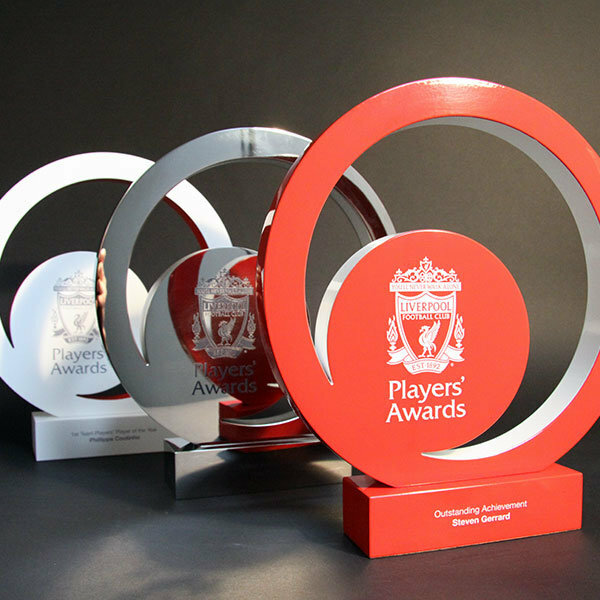 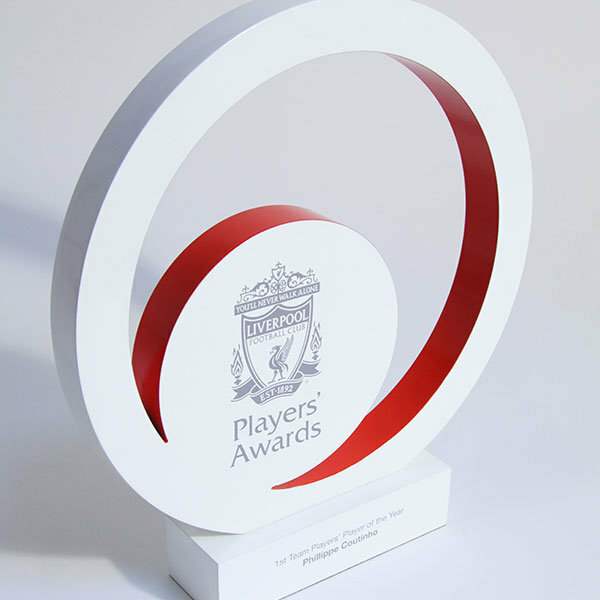 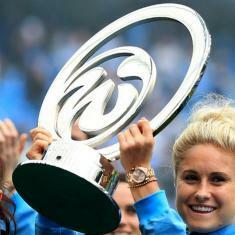 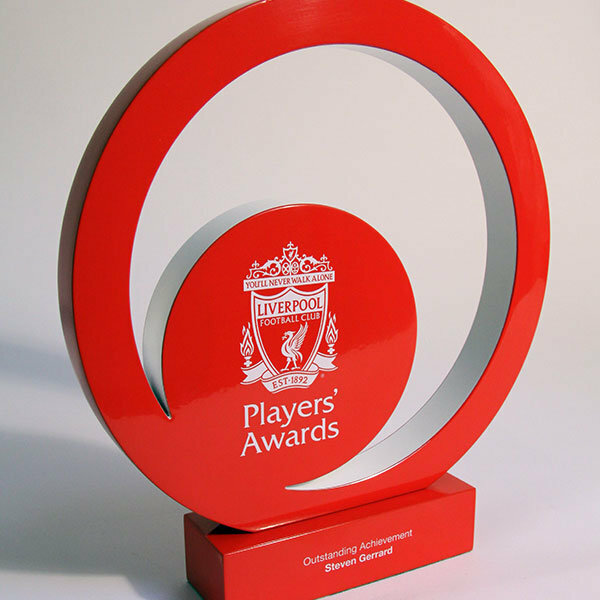 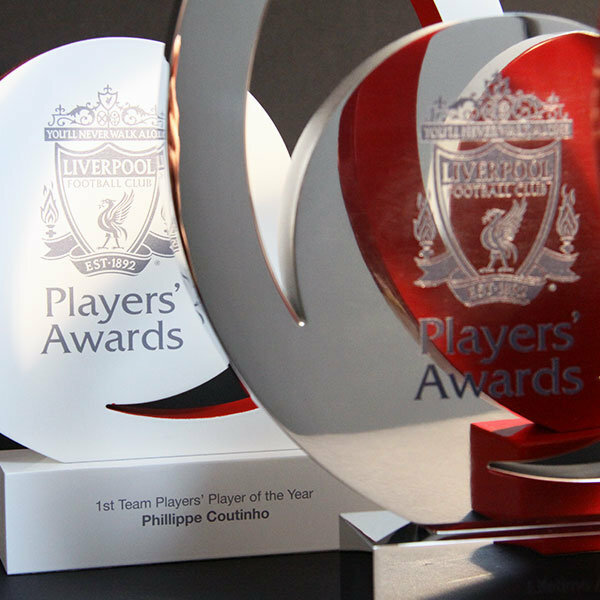 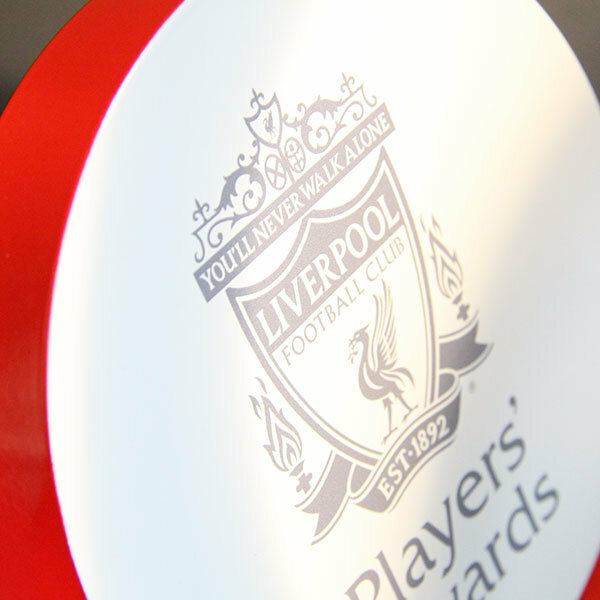 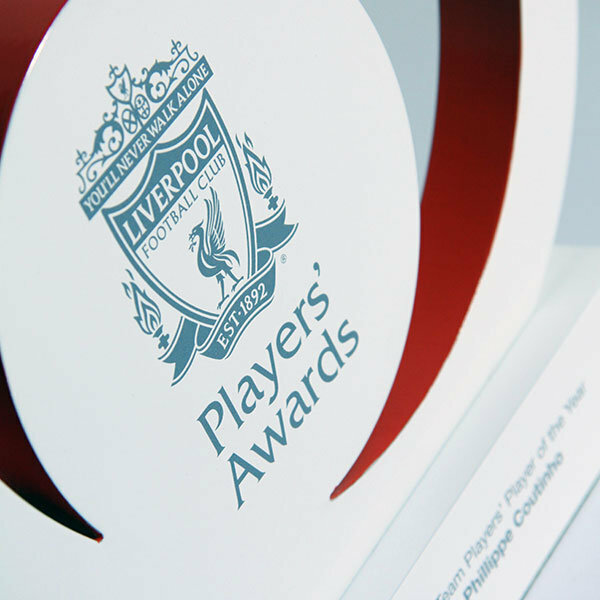 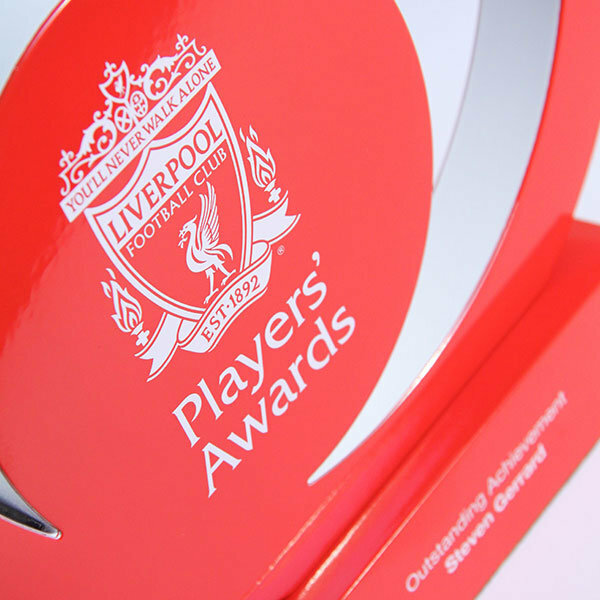 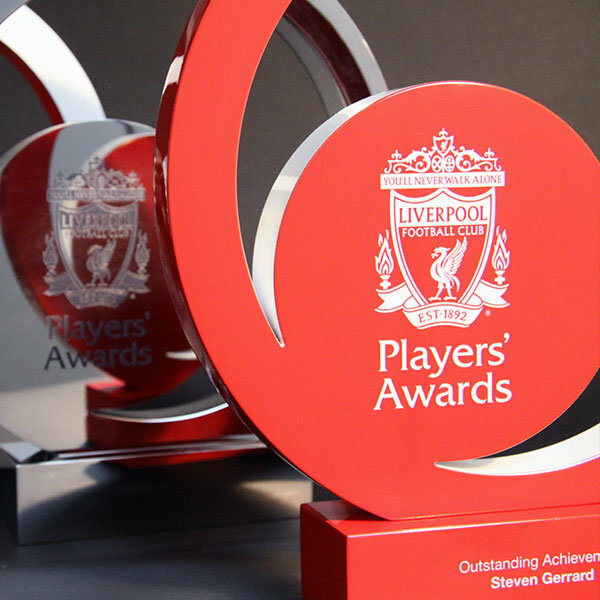 Each award is personalised by printing directly onto the base.